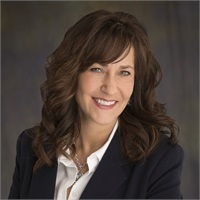 Lori Mack | Cornerstone Financial Solutions, Inc. Prior to joining Cornerstone, Lori worked in the banking industry for 25 years. Lori Directs the incoming calls to the appropriate team member, schedules appointments, processes mailings, and completes a variety of other administrative duties. Lori and husband Tim have five children and two grandchildren Between them. She enjoys golfing, warm weather, gardening, cooking and watching the cooking channel.